Working alongside world-renowned architecture firm Benoy in a design competition for the Lotte Corporation, we designed a completely new experience for guests of Lotte World in Seoul, Korea. Originally opened in 1989, this popular indoor theme park was looking for fresh new ideas for a complete overhaul of the visitor experience. 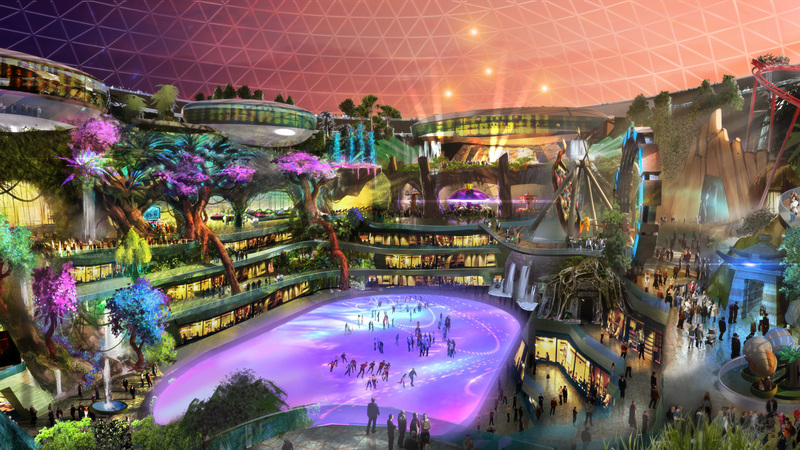 We created a whole new backstory and mythology for Lotte World, with designs that transformed the existing multi-floor mall-style architecture into a lush, layered experience. Combining fantasy and spectacle with all-new stories and adventures, we reimagined this classic indoor park as a unique, eye-popping urban oasis.